Heat Shield is a cleaning and restoration method we use to ensure your chimney doesn’t have any leaks, cracks, or improperly aligned mortar joints. Heat Shield adds a new line of concrete to prevent fire escaping –– this makes your chimney both safer and more efficient at the same time! 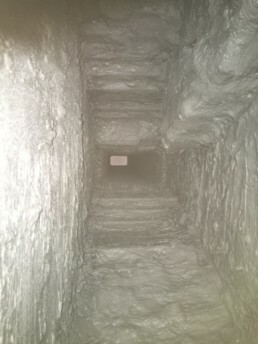 Whether you realize it or not, there are hazardous flue gases inside your chimney. Thanks to the advanced sealant power of Heat Shield, though, both you and your family will be safe from these dangerous chemicals (like carbon monoxide). What’s more, heat shield prevents fire by removing water damage and sealing eroded areas within your chimney’s walls. At Brickworks, our team of fully licensed contractors know how to use Heat Shield to ensure your chimney is safe and secure. Before we begin, we’ll conduct a complimentary inspection and share our results with you. Then, once we get started our team members will cover up any holes or cracks within the chimney. Rather than replacing your chimney brick-by-brick, we fix your chimney in one fell swoop. Not only is this better for the environment –– but it’s better for your bottom line as well! 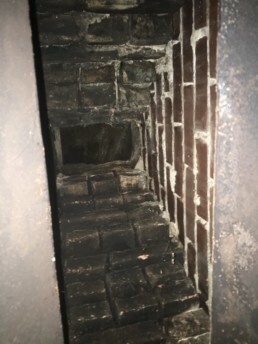 Have you stopped using your chimney after it fell into disrepair? If so, you’re not alone. In fact, before Heat Shield, cleaning and refurbishing a chimney was nearly as difficult as building a new one from scratch. Fortunately, Heat Shield can repair any cracks, as well as any misaligned or missing flues within your chimney. 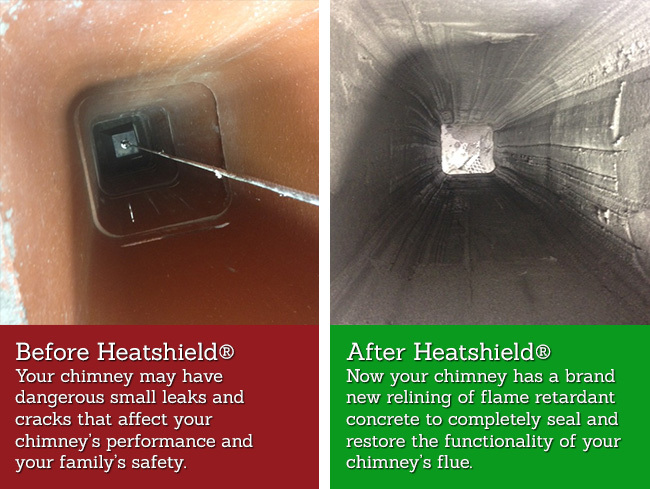 This ensures your chimney can ventilate properly. Breaking the bank on a full-scale chimney replacement is the last thing any homeowner wants to do. Thankfully, with Heat Shield you won’t have to. Typically our Heat Shield process will cost around a third of what a full chimney replacement would call for. In addition, applying Heat Shield will take significantly less time than rebuilding a chimney from scratch. At the end of the day, Heat Shield is reliable, cost-efficient, and won’t take up all of your time. Call us today (586) 868-3234 to get started!